Market garden quality. 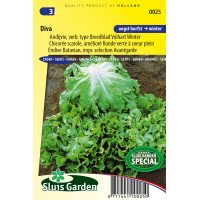 Vigorously growing, self-blanching improved selection of winter endive. Markedly less sensitive to stem rot and decay. Produces heavy compact heads. 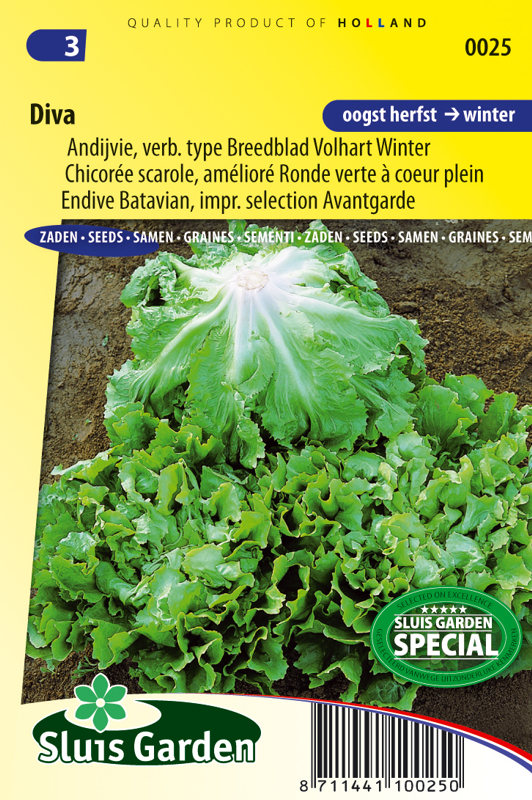 Ideal for cultivating in the garden in the autumn and in a greenhouse in the winter. In order to prevent running to seed, sow in June and July directly in the garden, then later transplant OR sow in a greenhouse and depending on the period transplant outside or in a greenhouse. Minimum sowing temperature 15 ºC. Keep soil moist during the cultivation. Transplant to well fertilized soil.